If you are reading this, you probably have a good understanding of what Depression is and how it affects us and those around us. 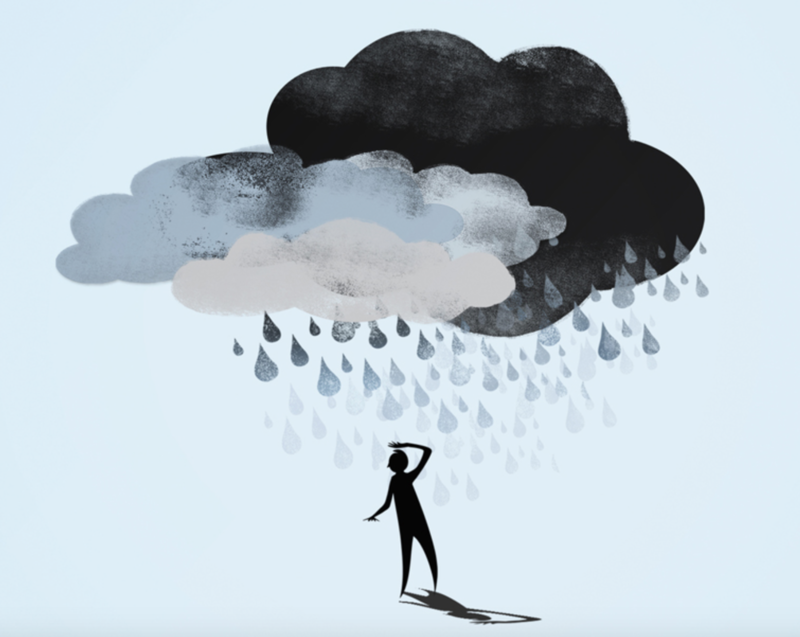 Depression affects not just our mind, but our bodies too. The quality of your thoughts influences the quality of your life. Depression is a common psychological disorder - anyone can get depressed. Yet it’s more than just feeling unhappy, bored or fed up. If feelings don’t go away naturally, or they start affecting your everyday life, it may be time to seek professional help. This is one of the most common types of Depression. Often misdiagnosed as Clinical Depression because the symtoms can be similar, but the causes are very different. Environmental Depression is caused by something in a persons environment. Also know as Chemical Depression, because it is caused by chemical in-balances within the mind. It is often thought that the mind is not producing enough "happy chemicals" like serotonin. However it is not as simple as that. People can have a combination of Environmental Depression AND Clinical Depression. So both can influence each other and we can feel like we are stuck in a spiral, that we can't get out of. Many people with Clinical Depression can benefit from medications prescribed from a Doctor. Hypnotherapy and other talking therapies can help also. Always consult your Doctor before changing or reducing medications. ​A form of both Clinical and Environmental Depression, Postnatal Depression is very common for both Women and Men. Due to a massive change in a persons life style and purpose, coupled with hormonal imbalances. ​Bipolar disorder (originally known as manic depression) causes a persons mood to alternate between intense highs and unbearable lows. These contrasting periods are known as episodes of mania and depression. Depression affects everyone very differently. So the way that Neil uses his powerful Hypnotic techniques are tailored carefully for every client. Unlike some other therapies; Neil does not always need to know why you are Depressed. We do not need to dig up the past to make a person feel happy, because this often makes a person feel worse. Using the Hypnotherapy tools combined with the life skills that Neil provides. You can free yourself from Depression safely and naturally. Get in touch with Neil today, or even better, just book your FREE Consultation to start the changing process.